2. Comb all the hair to the back of the model’s head. Note that we’re working with dry hair. When you’re creating curls, it is always better to use hair that has been washed the day before, as the follicle has had time to distribute a thin layer of sebum along the surface of the hair. The sebum helps for the hair to cling to each other to a limited extent, which makes the styling easier. 3. Use the sharp end of your tail-comb, and draw out a section of about two inches just above the ear. 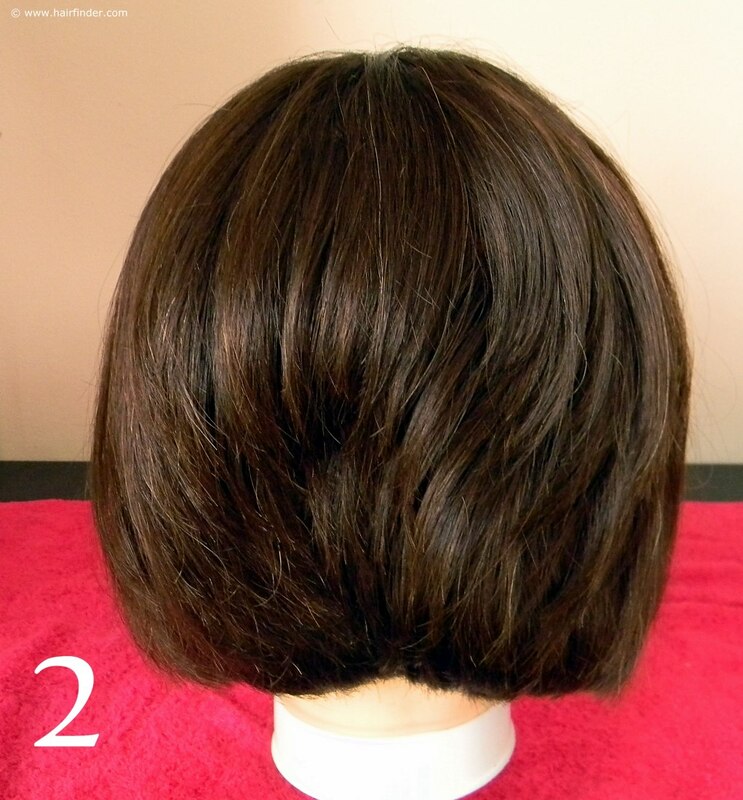 We’ll be curling the hair on the sides of the model’s face, as the hair at the back of the inverted bob is too short to be curled. 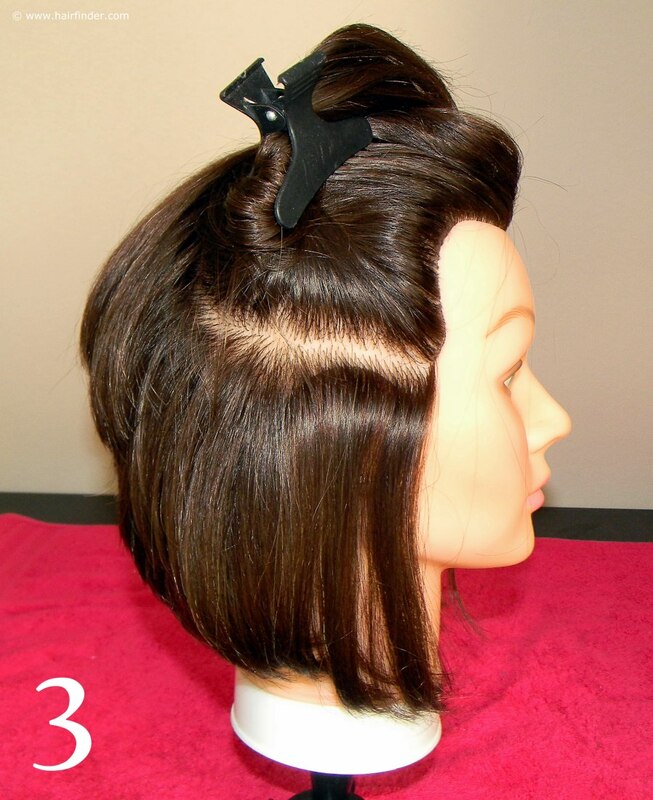 Secure the rest of the hair with a clip to ensure that it stays out of your way while you’re styling the hair. 4. 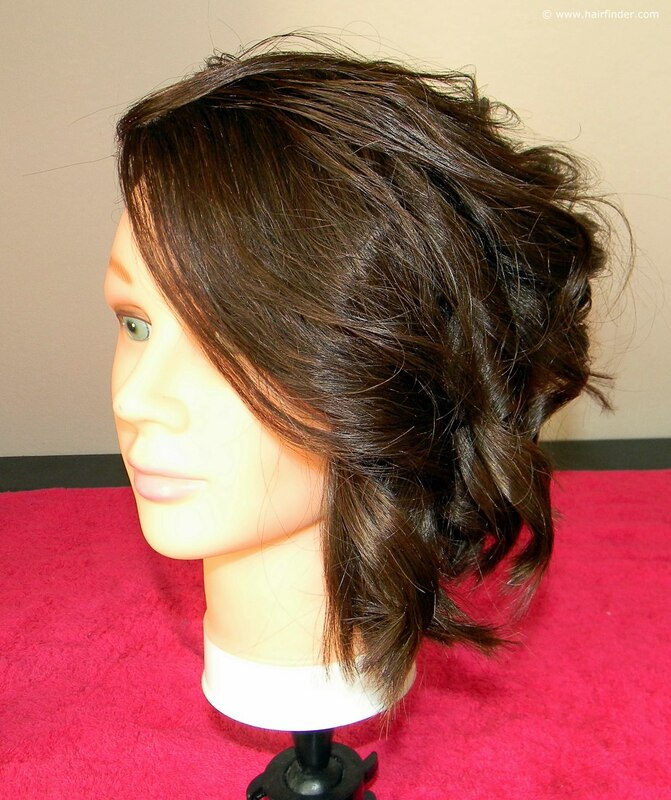 Use your flat-iron and curl the hair in the 180 degree twist technique to create the curls. If you’re unfamiliar or uncomfortable with using the flat-iron to create curls, you can also use your medium- to large barrel curling iron to do the curls. Curl the hair away from the face on both sides. 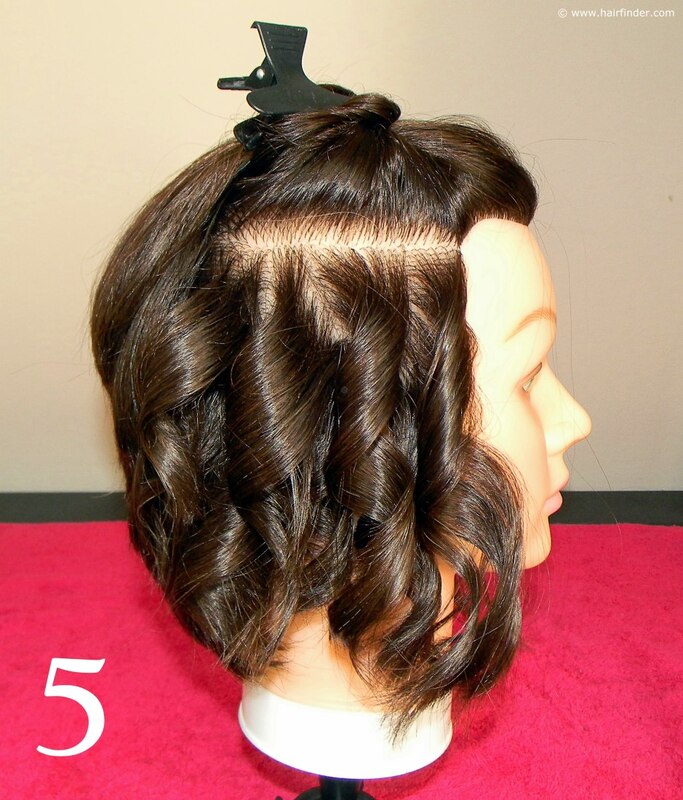 Curl all the curls in the same manner and direction, to improve uniformity in the style. After you have completed the row, spray the hair with medium- to strong hold aerosol hairspray. 5. Release the knot on top of the head, and draw out another two-inch section. 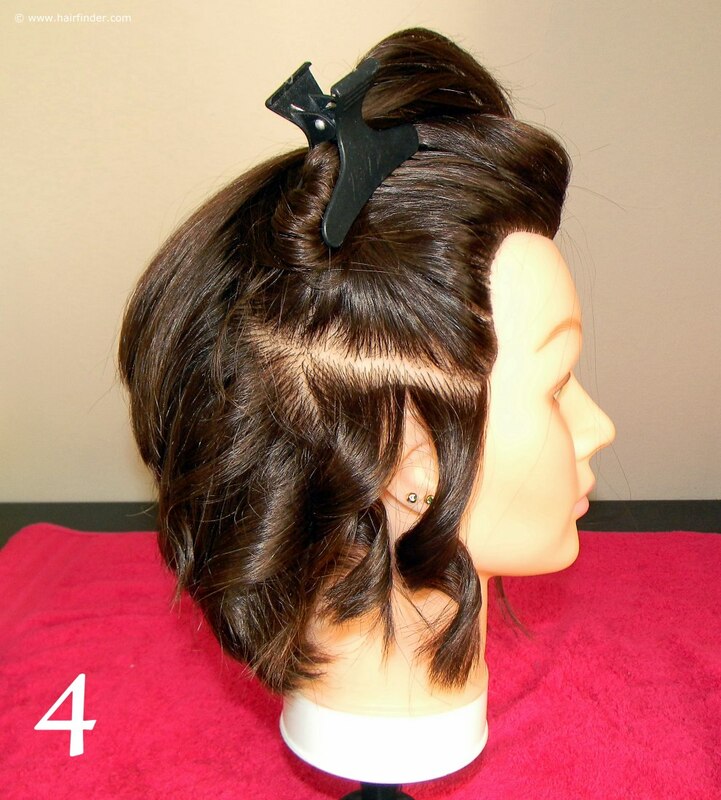 Clip the rest of the hair to the top of the head again, and proceed with repeating the above-mentioned process. Be very careful when working with heat-techniques in the vicinity of the ears or face of the model. 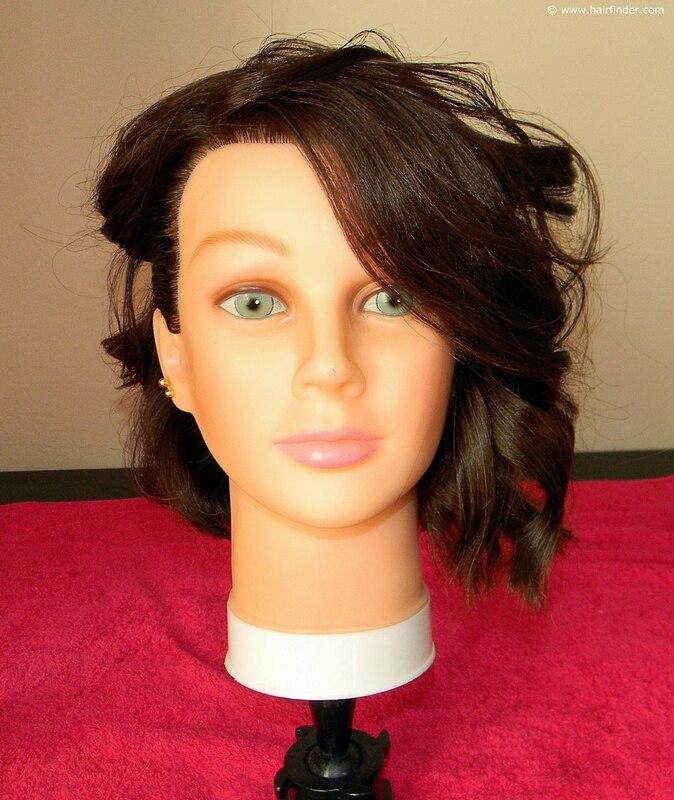 Most injuries that occur in the salon and at home concerning heat-technique appliances are because of mishandling of curling irons, flat irons and hair-dryers along the scalp, face and ears of the client. 6. Repeat this process all the way to the top of the head. 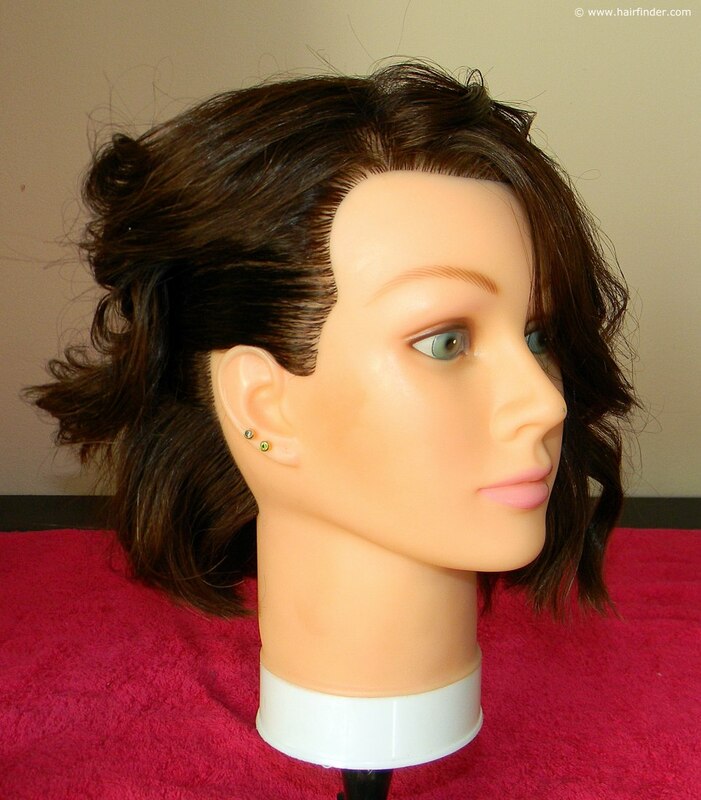 Note that the model has a side-part. This is important as it will be a major contributing element of the faux side undercut, so make sure that you incorporate it into your style. When you’re done and satisfied with the curls, spray the over-all style with medium to strong hold hairspray to improve the appearance and structure of the hair.